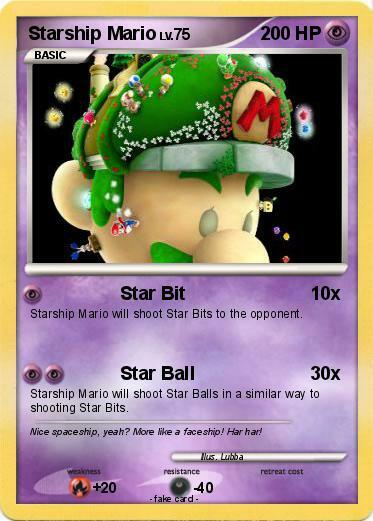 Starship Mario will shoot Star Bits to the opponent. Starship Mario will shoot Star Balls in a similar way to shooting Star Bits. Comments : Nice spaceship, yeah? More like a faceship! Har har!